Our signature treatment combines IPL (Intense Pulsed Light Laser) with a customized medical grade chemical peel to help eliminate fine lines, wrinkles and hyper-pigmentation! These services can only be performed under a doctor’s supervision and are performed by licensed medical estheticians. This is NOT your average day spa facial peel, you can actually feel it working. We are a results oriented practice and want you to experience the Réviance® difference! IPL Laser (Intense Pulsed Light Laser) is an ideal treatment for skin care concerns ranging from redness, and rosacea, broken capillaries and hyper-pigmentation such as age, hormone and sun spots. The IPL is a non-ablative light based treatment that has been carefully calibrated to seek out specific pigments in the skin. 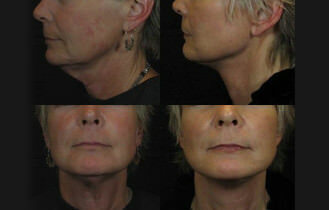 Where is the Reviance Portland® IPL Performed? The Réviance® IPL is performed at our medical facility on an outpatient basis. Can the Reviance Portland® IPL Photofacial Work for my Skin Type? Our customized IPL can treat many skin types.